Lewis Hamilton pipped his teammate to the fastest lap in the race yet again, with a tenth of a second over Nico Rosberg. 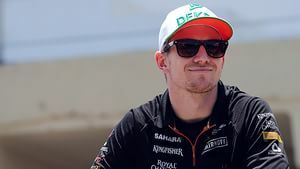 Nico Hülkenberg was third fastest with Jenson Button in the top five continuing his show of good pace on a Sunday. Daniel Ricciardo was last, as the Red Bull driver retired from the race halfway through. Kimi Räikkönen didn't have a lot of pace, just four tenths faster than Ricciardo, despite getting to the end of the event.